A comfortable bath lift which can be used on most bath shapes and sizes. Price excluding VAT.(Incl. VAT £1,794) *VAT Relief available on this product. Do you have trouble when getting in and out of the bath? 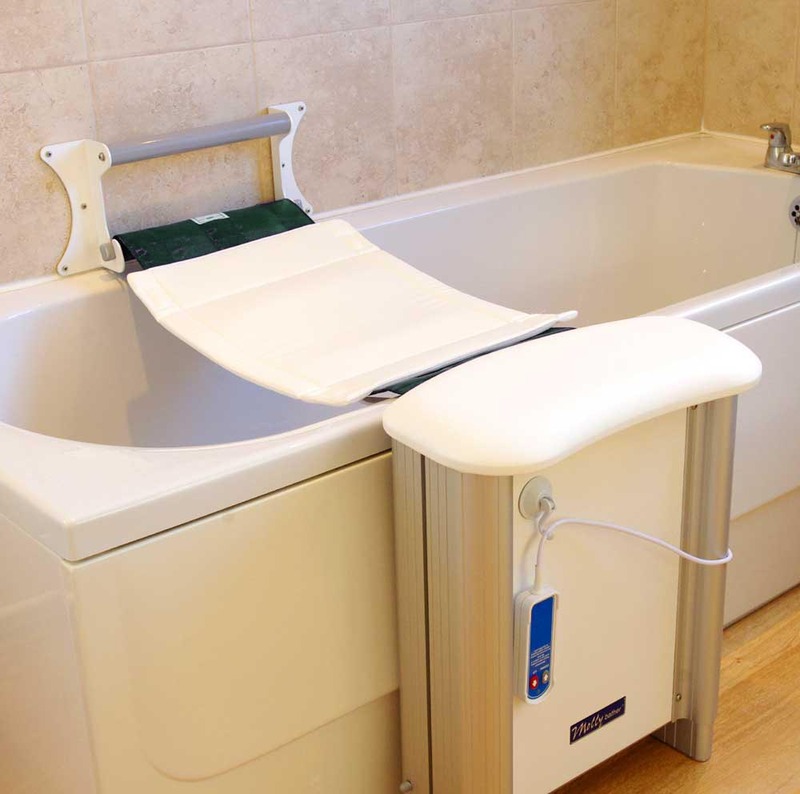 At Cavendish Health Care, we’ve had many positive reviews about the Molly Bather Bath Lift. This lift will ensure you can keep your existing bath while utilising the full length and depth of it. The bath lift is carefully crafted from satin aluminium and stainless steel which will give you many years of use. The belt retracts into the seat which is securely attached to your bathroom floor. 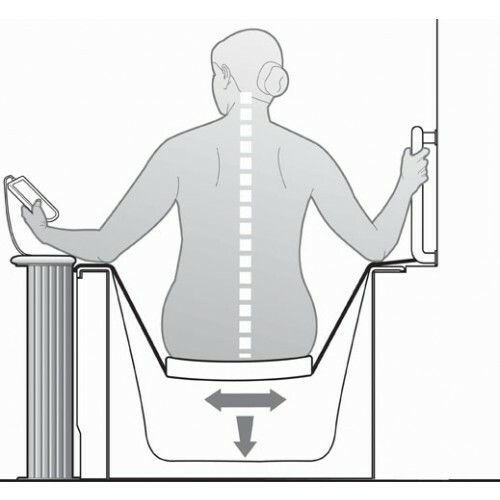 On the belt is a unique non-slip cushion which helps to keep you central and stable when sitting down in the bath. A battery is stored inside the fixed seat. Just lift it up, take the battery out, and charge in a different room. This ensures that no mains electricity is used in your bathroom. When you’re finished, the belt can be retracted to resume normal bathing. It comes with 5 bracket mounting options to fit all wall and tile surfaces. Whether your bath is a standard size or not, there are now custom options available. This would be perfect for those who need a little help when getting in and out of the bath. Enjoy a warm, relaxing bath once more with the Molly Bather Bath lift. If you would like more information on the Molly Bather bath lift or any other bathroom accessories, please give us a call on 02392 255600. We’d be more than happy to help.